It’s that time of the year again and I’m so excited to bring you my favourite makes of 2016. This has definitely been my most productive year yet! So much has happened and it has been wonderful to look back through all of my photos and remember all of the pretty things I have created. Here’s a little taste of 2016. Reviewing my year all started with a prompt by a lovely sewing friend on Instagram to share my Best 9. If you haven’t come across it before, 2016bestnine.com creates a collage of the top nine photos you’ve posted on Instagram according to likes and comments. I found this process really illuminating, because it highlights that the pieces or photos that you like the best aren’t necessarily the ones loved by others. So interesting! You can see my instagram feed HERE. For most of this year I have been working on a top secret project and it has taken up the majority of my time. So there hasn’t been a lot I can show you. I’ll be sharing the news with you really soon, but I can tell you that I’ve had to sew and write about 20 patterns for it. So I’m guessing you might have a bit of an idea on what it’s about. Here’s a sneak preview that doesn’t give too much away. Working on my secret sewing really cut down the time available for pattern writing. 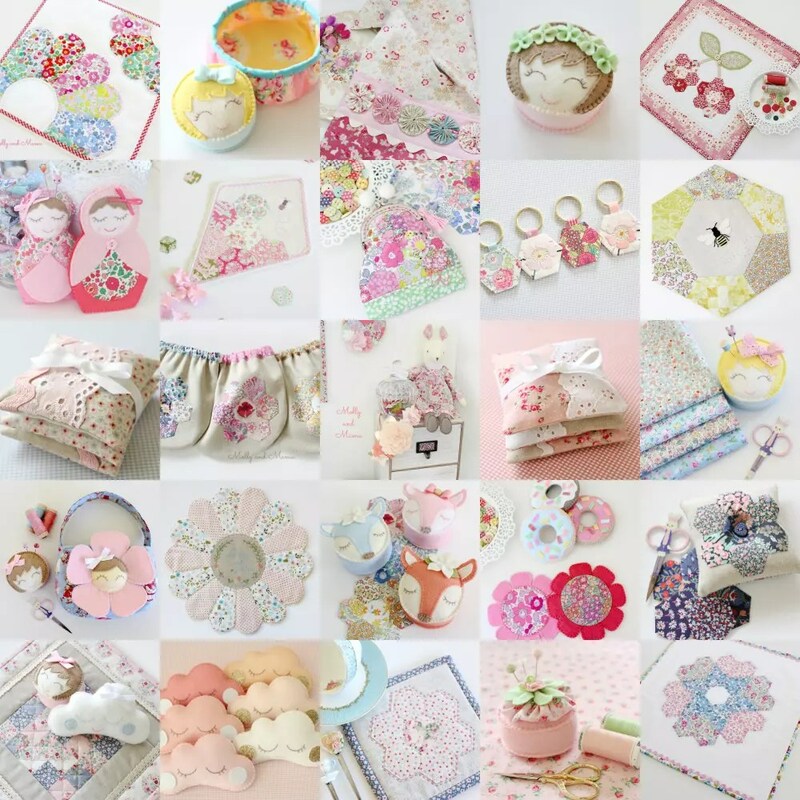 This year saw the release of the Katie Koala Carry Bag, the Bitty Bunnies, the Darling Daisy Bag and the Flutterby Kite. They were all so much fun to create. I can’t wait to bring you more patterns in 2017. In 2016 I also joined the creative blogging team at Sizzix UK. 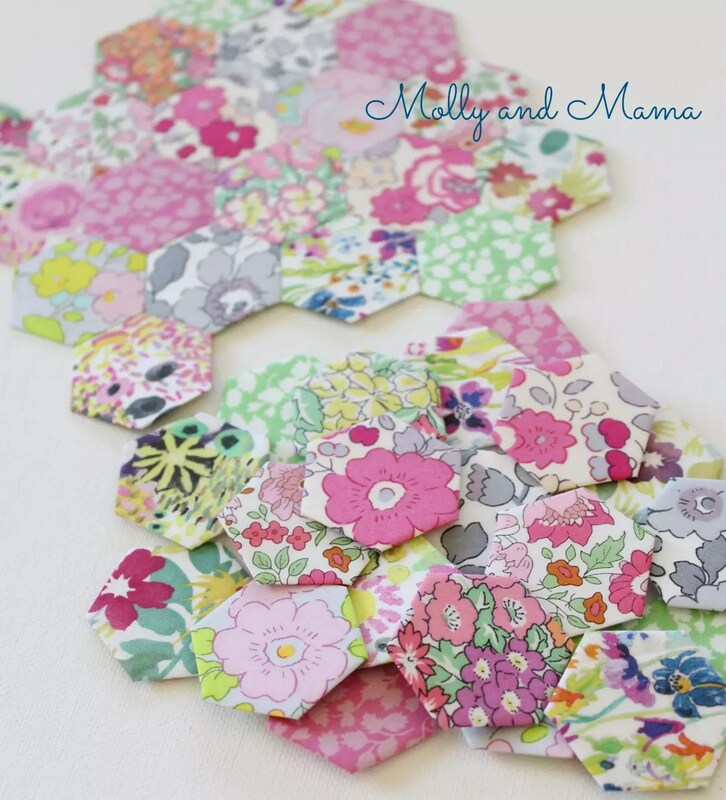 I have been sharing blog tutorials over there, showing you how the Sizzix Big Shot cutting machine can help simplify your sewing and help you create some beautiful pieces. There’ll be more posts in the new year, so stay tuned too. I also had the opportunity to sew some lovely projects for special blog tours, roadshows and quilt markets. 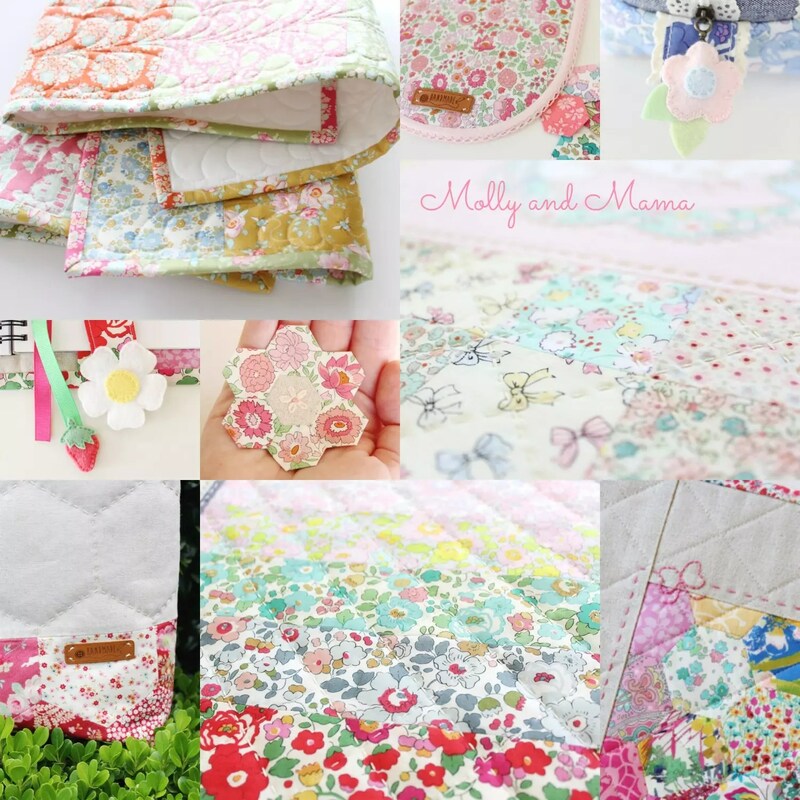 The Liberty Dresden mini quilt was made for Sedef Imer’s book tour for ‘Quilt Petite’. You can head to the original post to learn more. The kite is a variation of my Flutterby Kite pattern and was made in the new Tilda Bumblebee fabric being released in January 2017. This beauty was showcasing this lovely new range at the Australian Quilt Market in November. The ‘Love is in the Stars’ English paper pieced mini quilt was made for Eve from FabricDirect.com to showcase her newest pattern. The ‘Pretty Penny Coin Purse‘ is a FREE PDF pattern made in collaboration with Martina from Ava and Neve. You can download a copy and find links to the kit and bobble clasp in this blog post. The hand towel with fabric yo yo detail was made for the Tilda Trunk Show showcasing the Memory Lane and Cabbage Rose fabric ranges that were released from Tilda this year. If you’d like to make yo yo’s, please see the tutorial. Also for the Tilda Trunk Show (organised by 2 Green Zebras) was this pretty pillowcase. Made from a few fat quarters, it was a quick and easy project to sew using my pillowcase tutorial. 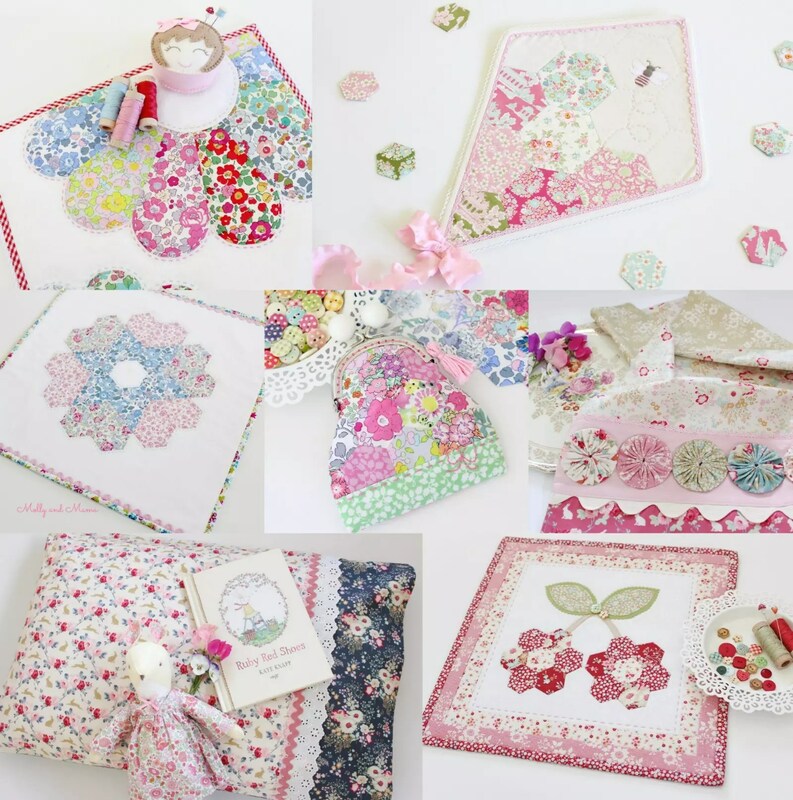 The cherry mini quilt was a project from Kerri Horsley’s ‘Lovely Little Patchwork‘. This was a lovely blog tour to join in too! And of course, there’s been some selfish sewing and gift sewing too. So all in all, it’s been a busy year! Looking back, 2016 was the year of Liberty tana lawn fabric, Tilda fabric, English paper piecing and an ongoing love affair with wool felt! Something I learnt in 2016: Don’t follow the pack! I have really developed my own style and design aesthetic (gee, I dislike that word, but it does the job well) by continuing to use the materials, mediums, and methods that I love, that speak to me and that are meaningful and relate to the work I do. I have to say that I feel so blessed for the opportunity to continue to spend this year doing what I love. I’m so appreciative of your support, encouragement and love. And I hope that in sharing my sewing projects, patterns and ideas, that I have inspired you in some small way to keep creating every day, and to share your love of sewing, crafting and ‘handmade’ with those you love. I’m so excited about what 2017 will bring and I look forward to having you on the journey with me. I have to send a big shout out of thanks to Sarah at Say! Little Hen. She has posted a Creative Review for 2016 on her blog and encouraged us to do the same, with a link up. What a lovely idea! She gives some great prompts and ideas for looking back on the year too. I’ve used many of the ideas here, so thanks Sarah! Was 2016 a productive year for you? What were your favourite makes? I’d love to see more, so be sure to share your links with me. Wishing you a wonderful start to 2017. I hope the year is filled with lots of quiet moments where you can indulge in some special sewing just for you or your loved ones. I have been following you on IG and I love your designs and the way you interpret others’ patterns too. I think we might be seeing a book in the future? I hope so! Thank you Kay. I’m a bit obsessed with Liberty too. Wow Lauren! You have made so much, and it’s all so very beautiful. I can’t choose a favourite! Your secret project sound very intriguing. Thank-you so much for joining in, I’m so happy you did & that you enjoyed it. Wishing you a wonderful 2017 filled with good things and more beautiful creative making!